With sleek styling cues backed up by almighty performance, the Audi S4 may just be the perfect fast family car. The 354hp twin-turbo V6 is mated to a standard ZF 8-speed automatic gearbox and a rear-biased quattro AWD system for potent all-weather performance and supreme handling. The top trim level, Prestige, gives you Audi’s virtual cockpit, head up display, and MMI touch infotainment system to create a truly digital experience. With speed sign recognition, blind spot assist, rear cross traffic alert, adaptive cruise control and an IIHS Top Safety Pick+ rating, safety is all but guaranteed. 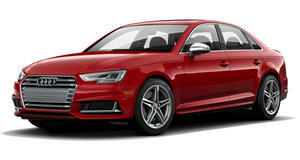 Based on the latest Audi A4, chassis code B9, the S4 is the hot, but not quite RS-hot model to take on the Jaguar XE-S, BMW 340i, and Mercedes-AMG C43. 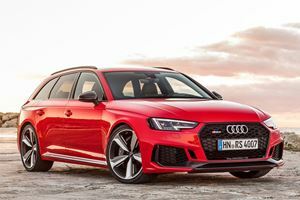 Like the previous generation, the S4 packs a single V6 engine – but the change from supercharging to turbocharging may have cost it some character. 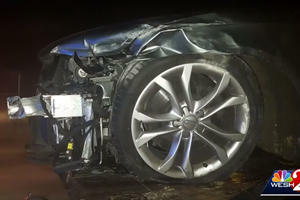 As will all hot Audis, or mildly warmed up in this case, the S4 benefits from Audi’s quattro permanent all-wheel drive. Consider this the benchmark for AWD sports sedans. The latest A4 range once again redefines what interior quality looks like. Though the design may not have the extravagance of the Mercedes-Benz C Class, it offers materials that feel of a higher quality – panels nicer to touch, buttons nicer to fiddle with. 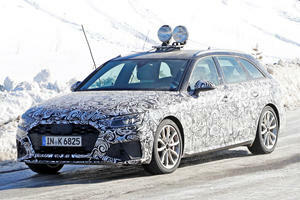 Its design makes the BMW 340i – despite the 2015 refresh – feel old for an interior in this segment and the Audi wipes the floor with efforts from Jaguar. The large leather clad shift lever is pinched in essence from the new R8, as is the optional virtual cockpit and heads up display. The S flat bottomed steering wheel takes centre stage ahead of the comfortable driving position thanks to standard 12-way power adjustable seats.Space-wise, there’s seating for 5 in a class-competitive cabin. Rear leg and headroom is commodious and on par with segment rivals such as the 340i. The trunk offers 13 cubic feet of storage capacity, with a decently wide aperture for larger items. Stiffened up compared to the standard A4, the ride is a little sharper in the S4. Adaptive damping changes the feel per drive mode, with comfort doing what it says on the box perfectly. Place it in Sport mode though, and with the optionally equipped rear sports differential the handling is impeccable. Twisting stretches of tarmac are dismantled easily – too easily in fact, with the S4 leaving the impression that it’s clinical and capable, but not quite as enjoyable as say a Jaguar XE-S. Quattro AWD is a standard fixture, with a 40/60 front/rear torque split. Potential buyers will be glad to hear the perennial understeer is now firmly in Audi’s past, with handling sitting perfectly on the line of neutrality and composure. Available as an option is speed sensitive dynamic-steering. While it’s not the worst setup, it never feels correctly weighted and is worth skipping – the sports diff is where your money is better spent. The change from super- to turbocharging may be met with chagrin by many – losing the character and responsiveness of the old engine, but the 354 horsepower and 369 lb-ft of torque generated by this 3.0-liter twin-turbo V6 is seriously potent. There’s just a whiff of turbo-lag, and the sound isn’t very sporty, but it has performance on offer. Paired with a now industry standard 8-speed automatic gearbox from ZF, and Audi’s quattro AWD, the S4 is capable of a mega 4.4 second 0-60mph time. The gearbox, while not as snappy as the old dual-clutch is now more efficient, and more accurate. With only Premium Plus and Prestige trims available, the Audi S4 is very well equipped as standard. Full LED headlights, 12-way power adjustable seating, a Bang & Olufsen sound system, and a rear-view camera are all standard. Prestige bags you MMI navigation plus, the virtual cockpit, head up display, and MMI touch, amongst other things. As for safety, you want for nothing. Features include blind spot assist, automatic city braking, lane keep assist, traffic jam semi-autonomous driving, adaptive cruise control, rear cross traffic alert, collision avoidance assist, and speed sign recognition. The B9 Audi A4 is an IIHS Top Safety Pick+ for 2017, and received a 5-star rating from the NHTSA. Cold but capable – the traits of a serial killer; or in this case a very, very quick junior sports sedan. The style, generous levels of equipment, and outright performance on offer in the Audi S4 make it more competitive than ever before – a benchmark for performance, even if it lacks a bit of soul.